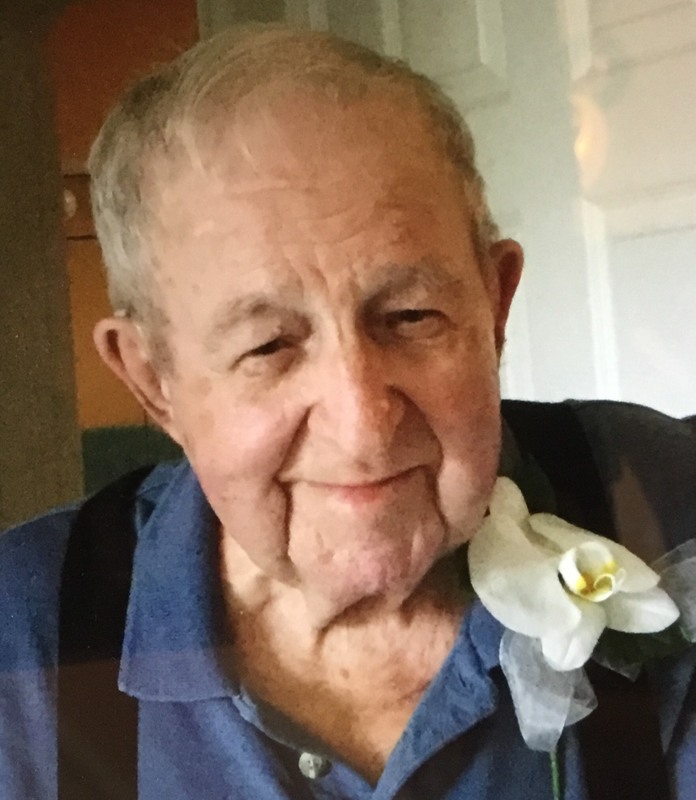 Delmer (Del) Jacob Zehr passed away in Winchester on Nov. 3, 2018, after a brief illness, in his 95th year. He was the beloved husband of Helen (nee Stere), and father of three children: Kent (Charlotte) of Edmonton, AB; Laura Tremblay of Acton, ON, and Nancy (John) Torrance of South Mountain, ON. Dear grandfather to Tymarrah Zehr, Douglas Jacob Zehr, Trish (James Feistner), Mia Tremblay and Jennifer Tremblay; Graham (Amber), Andrew (Erin) and Christine Torrance; great-grandfather to Eric and Veronica Holt; Harvey Jacob and Helen Franziska Feistner, Logan and Abigail Torrance and Lauren Torrance. Delmer was born on Dec. 6, 1923 in South Easthope Twp., Perth County, Ontario on a farm pioneered by his great-grandfather, Dr. Peter Zehr. He was the elder son of Jacob R. Zehr and Laura Ellen Gingerich. As a young man he served proudly in the medical corps of the Royal Canadian Army during World War II. He married his loving wife of 71 years, Helen, on Aug. 14, 1947, and after leaving Kitchener in 1951, they moved their family to Cochrane, Ontario, and later to Timmins. Del spent forty years selling and servicing mobile heavy equipment for the forestry, mining and construction industries. Almost 20 of those years were spent in Northern Ontario, in the territory from the Quebec border in the east to Thunder Bay in the west, and from tidewater at Moosonee in the north to North Bay on the south. While living in the north, Helen joined him in serving the community, including the First United Church, Boy Scouts, United Way, Branch 88 Royal Canadian Legion (RCAMC), the Centennial Arena committee, and as a member of the school board, including Timmins High & Vocational School (TH&VS) and the French public high schools. Del was also a member of the Golden Beaver Lodge AF & AM #528. Moves to Kanata followed in 1970, and to Brampton in 1979. Retirement brought them to live in South Mountain in 1990, near some of their grandchildren, and then to Winchester in 2002. Delmer was predeceased by a large extended family, including his brother Aldine (Al) David Zehr on June 28, 2016, in his 89th year. My deepest sympathy to my best friend. Del was a wonderful man.